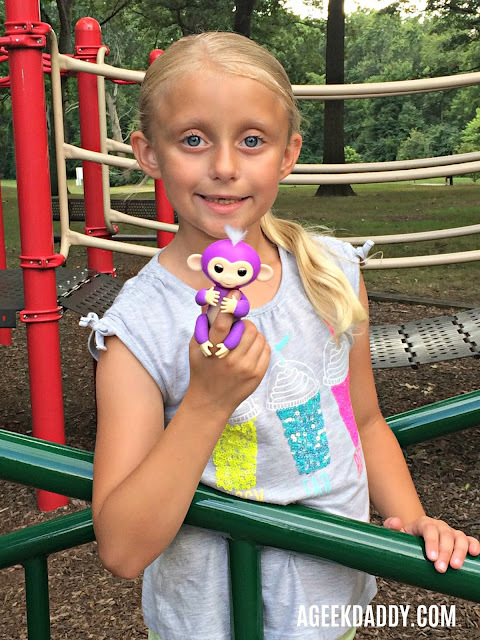 My daughter has gone bananas over her FINGERLINGS Baby Monkey from WowWee! This cute robotic toy that can hang from your fingertip looks to be one of the hottest toys for this year's holiday shopping season. They're so popular right now Fingerlings may be difficult to find at stores in time for Christmas so A Geek Daddy is excited to be able to give one away! These cute baby monkeys come to life within your hands! Fingerlings react to touch, motion and sounds through more than 40 sound and animation responses. Tapping on a Fingerling's head will trigger a variety of different reactions. Hang a Fingerling upside down by its tail and see what happens. These toys show affection when petted and fall asleep when rocked in the palm of your hand. Clap your hands to get your robotic pet to sing or whistle to you. Rub your hand in just the right spots on a Fingerling and it will even burp or fart! So who wants one?! 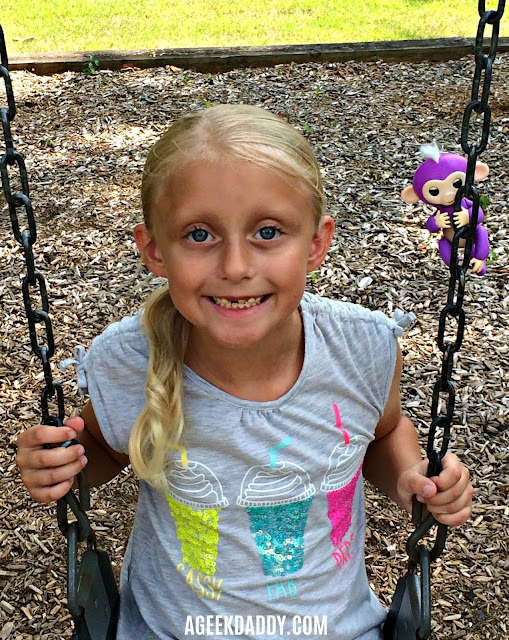 A Geek Daddy has a Bella Fingerlings toy to giveaway! For a chance to win it complete the entries in the form below. Must be a United States resident over 18 years old to participate. No P.O. Boxes for mailing addresses please. Valid entries must be received before 11:59 pm ET on Sunday, December 3, 2017. 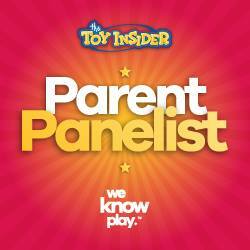 A Geek Daddy will randomly select one eligible entrant to win the prize and mail the prize out to the winner. Good luck! Some of my daughter's favorite toys have come from WowWee including MiPosaur and CHiP the robot dog. The toy company has impressed her again with these adorable robotic baby monkeys! 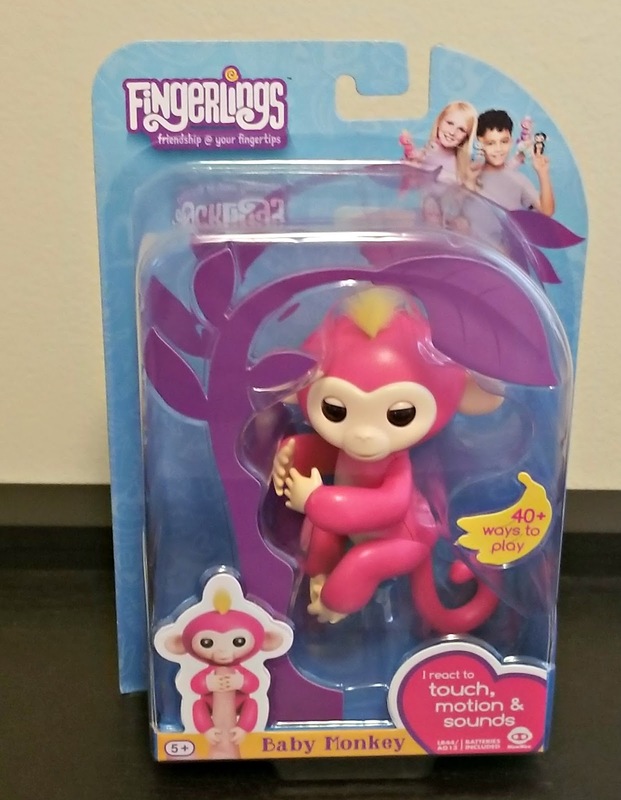 Check out A Geek Daddy's toy review of FINGERLINGS. I need to grab one of these! My daughter would love this so much, thank you! My great niece is in love with these !! It would be a nice surprise for her if I won. 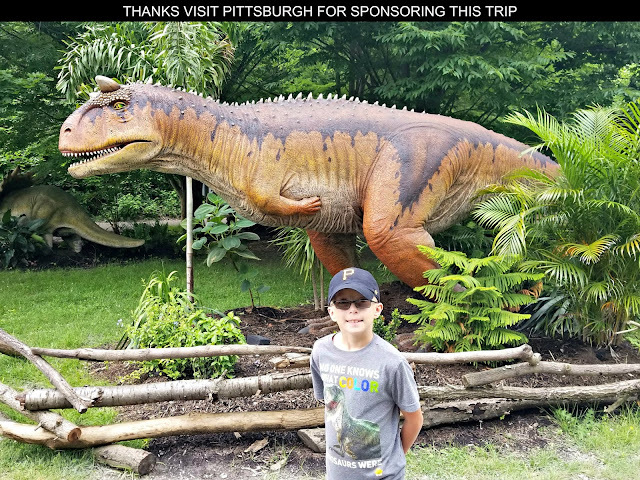 I would love to get one for my son! They're so cute! My girls are asking for these for Christmas! Great giveaway! My son wants one o these sooo badly! Thanks for the chance! I hope I can find these soon - my grandchildren will disown me! These little fellas are so adorable. My daughter is crazy for them but sadly they are out of stock in all major stores. Thanks for a wonderful chance to get one of these. Recently came across your blog and I just loved it. So cute! My daughter would love to get one of these for Christmas! Thanks for the chance. They are no place around here. My girls think these are so cute! Thanks for the chance. Thanks for the chance. I think winning one is the chance I'd have at getting one or my son. IT is so exiting to be given a chance to win, thank you for the chance and for having a great blog. Oh I really hope I win this one just like everyone else my little girl really wants one of these it is all she talks about and I have no way of getting her anything right now. So fingers crossed on this one. Good luck to everyone and thanks for having a great contest. I'd love to win one of these to give my mom, who just turned 90, because when she was a little girl, she had a monkey on a stick that she loved, which was taken away from her, and I know she would love this and help her feel that her special gift was coming back around! These are the cutest little things! Great holiday gift! These Fingerlings are the cutest and perfect for the Christmas stockings. this is so cool! my niece would love it!